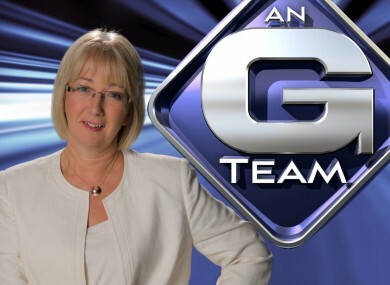 EX-GOVERNMENT MINISTER Mary Hanafin is set to return to our lives – as part of the ‘G-Team’ on a TG4 reality competition. The former Dun Laoghaire TD will be part of a panel of judges on the show, in which 12 towns outside the Gaeltacht will compete to use the most Irish in their daily routines. Their efforts will then be assessed by the ‘G-Team’. On the final day of the competition – dubbed ‘G-Day’ by producers – the three judges will descend on each town to assess their efforts to go about their business as Gaeilge. As well as Hanafin – who held several key Cabinet posts between 2004 and 2011 and ran for the leadership of Fianna Fáil in the final days of Brian Cowen’s administration – the G-Team includes Kíla founder Rossa Ó Snodaigh and Irish language activist Lorcán Mac Gabhann. According to TG4, the towns will be wired with CCTV and every conversation will be taken into account – from fathers reading bedtime stories to their children, to local lads chatting up girls. In a statement, TG4 said the show was focused on boosting the Irish language, but is also “about giving small communities throughout Ireland an opportunity to showcase their towns, their heritage and their plans for the future”. The winning town will receive €40,000. The ten-part series of An G-Team will begin on Sunday at 8pm on TG4. Email “Mary Hanafin's return to public life... on reality show 'G-Team'”. Feedback on “Mary Hanafin's return to public life... on reality show 'G-Team'”.